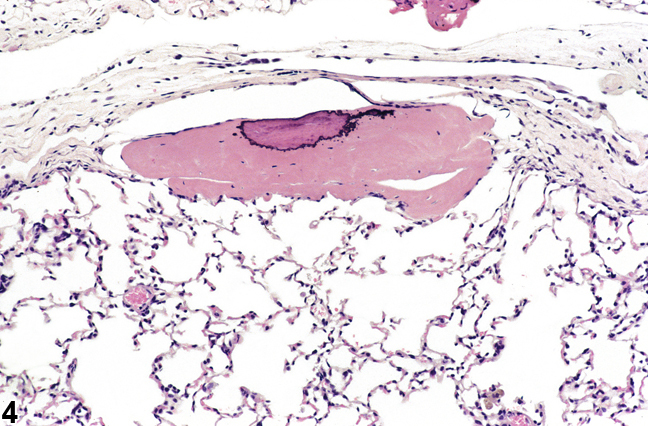 Lung - Metaplasia, Osseous in a F344/N rat from a chronic study. 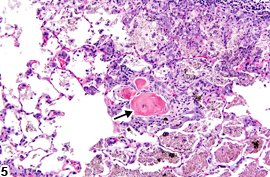 A focus of unmineralized bone is present in the lung parenchyma. 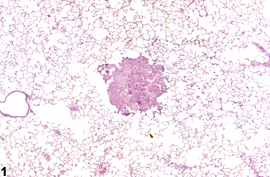 Lung - Metaplasia, Osseous in a F344/N rat from a chronic study (higher magnification of Figure 1). 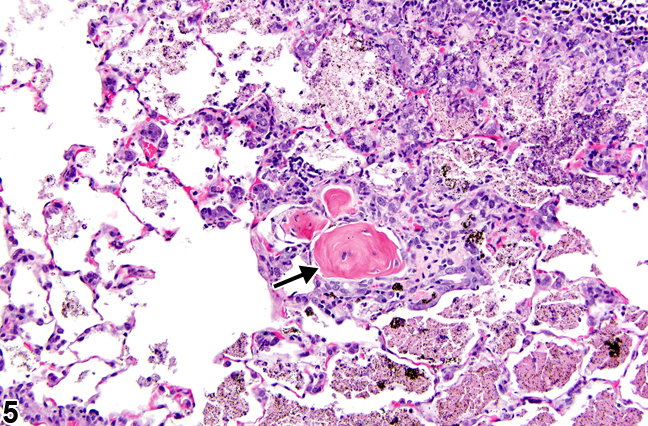 The eosinophilic material in the lung is unmineralized bone. 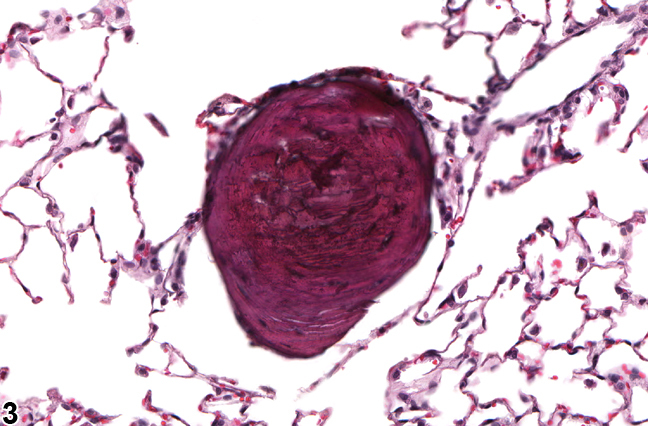 Lung - Metaplasia, Osseous in a male F344/N rat from a subchronic study. 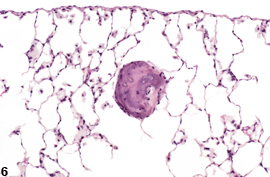 A focus of mineralized bone is present in the lung parenchyma. 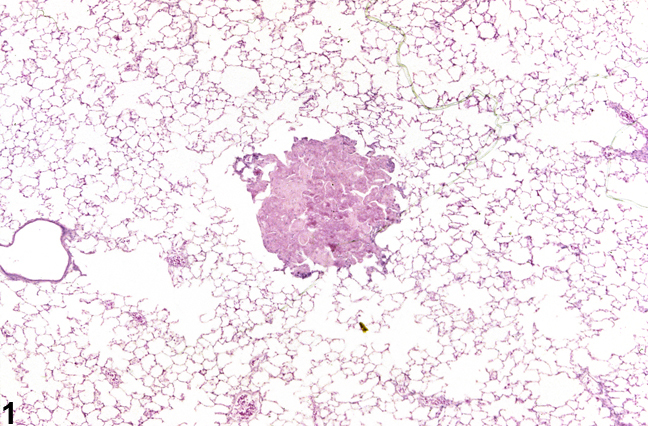 Lung - Metaplasia, Osseous in a female B6C3F1/N mouse from a chronic study. There is a subpleural focus of mineralized bone within a focus of unmineralized bone. 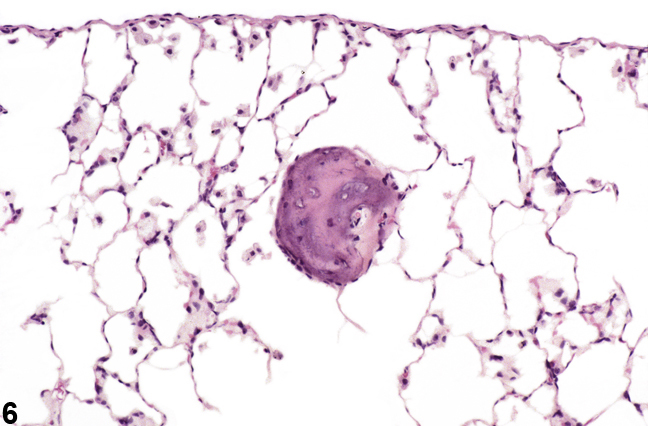 Lung - Metaplasia, Osseous from a male Wistar Han rat in a chronic study. 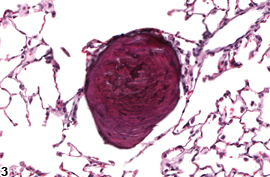 Though this focus of osseous metaplasia (arrow) is within an area of inflammation, it is likely not treatment related. 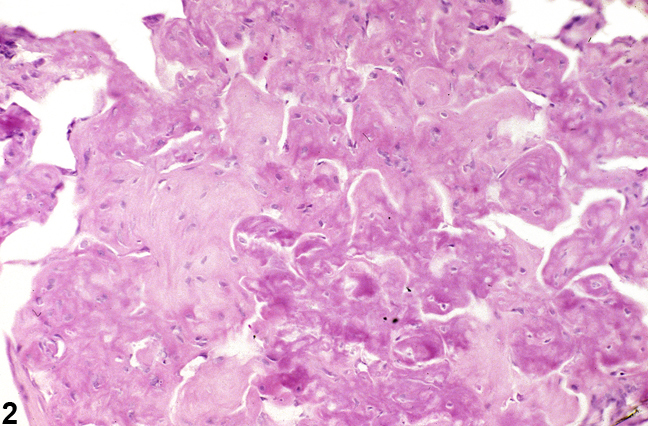 Lung - Metaplasia, Osseous in a female F344/N rat from a chronic study. 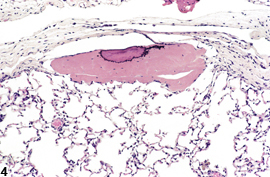 A focus of mineralized bone is present in the peripheral lung.